When shopping for dresses for a tropical wedding you have to think about the location. We are not just saying a summer wedding or even a beach wedding, we are looking for a dress to wear when we get married in a beautiful tropical location. Are you looking for a tropical wedding dress? So what are we looking for and what do we need to avoid? Well first thing is that we need to dress for the weather. Our location is most likely really warm and sunny, unless we opted to get married during storm season, but that is unlikely. So we need to wear a dress that will have us looking beautiful and being comfortable throughout the day. Lets start with out comfort, we should take care of this first because there are thousands of beautiful dresses we could find, but not all of them are comfortable. Dresses for a tropical wedding should be made out of more comfortable and lighter material. Your tropical wedding dress will be more informal in natural, but equally stunning to their church wedding traditional counterparts. Instead of wearing a dress with a bulky ballroom skirt, a long train and heavy material you may opt to wear something lighter and shorter. This will keep you more comfortable throughout the day, especially if you tropical wedding is outside and not inside an air conditioned venue. Of course just because you are getting married on the beach or in the tropics does not mean that the dress has to be short. 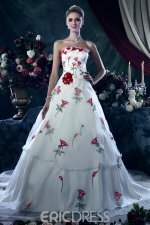 There are plenty of long dresses for a tropical wedding that are light and would be suitable for a tropical wedding. Sand and wind can play havoc with heavier dresses, hairpieces and veils and well as long trains. With that being the case most brides shopping for dresses for a tropical wedding tend to go a little bit simpler. The dress is shorter and made of a light airy fabric. As far as accessories goes, many brides opt for tiaras or hair combs instead of veils and most of the time the train is all together eliminated. When looking at shoes you might want to consider lower heels or no heels at all and look for styles that include sandals and flip flops. 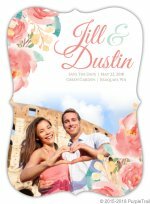 Finally when looking for dresses for a tropical wedding you might want to consider researching the location of your upcoming nuptials for any traditions or fashion trends in the area. 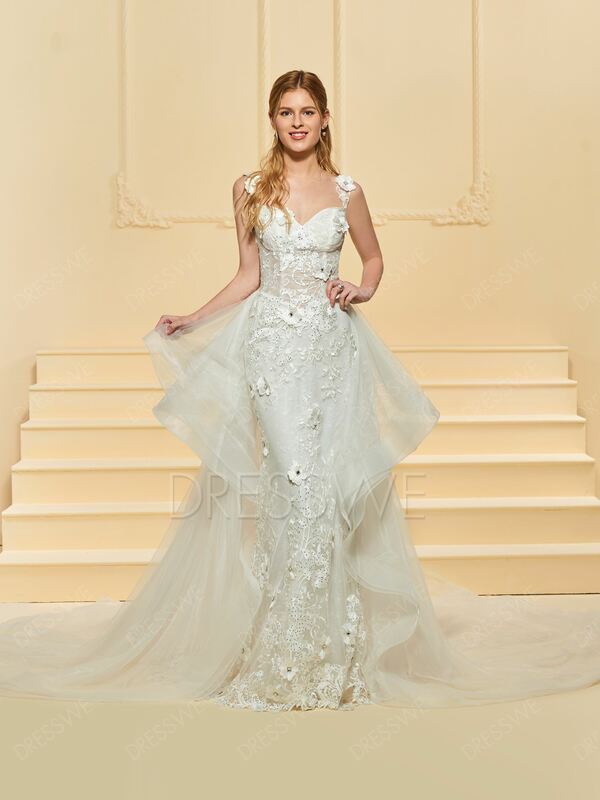 You may want to choose a tropical wedding dress that is not only comfortable and beautiful but one which is also closely linked to what other people native of the area might wear to a wedding. Now that you have an idea of some of the things you may want to include or may want to avoid in your wedding dress, it is time to start looking at some of the choices you have. These are in no means all your choices, but a good starting place. One of the first places you want to start is by looking at shorter dresses. I think it is important to understand that shorter dresses come in a variety of styles and lengths today and they may not be what you are currently picturing in your head. Short wedding dresses can be just as beautiful and stunning as their longer counterparts. Have a look around at some of the options available before you give this idea a hard no. If you are interested in going short, you can go really short if that is something you are interested in. They do make mini wedding dresses and if this is a look you are searching for, it can be found. Of course if you want to go short but you have limits, you can always shop for a knee length wedding gown. There are plenty of options that are either right below or right above the knee that are still quite lovely. A knee length wedding dress would help you walk and be comfortable in the warmer climate that you are getting married in. However we understand if you are only willing to cut a few inches off of the hemline. There are many wedding gowns that are ankle length or tea length instead of floor length. This would help you walk down a beach or through a garden much easier, but it would still give you the illusion of having a floor length dress. One you decide the length of the wedding gown, you might want to think about what it will be made of. Usually gowns are a combination of a few different materials. Some choices include satin, chiffon, taffeta, tulle and lace. 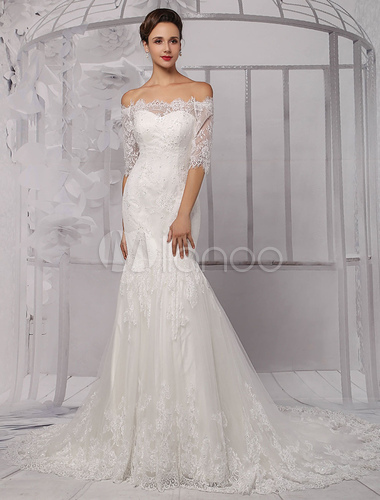 Lace is a great choice because it can be lighter and it is beautiful and romantic. There will be pros and cons to every wedding dress choice you make and lace is no different. Some of the pros to this type of dress is simply how it looks and the image it conveys. 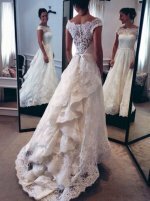 A lace wedding dress is traditional. If you are not looking to go modern for your dress, this could be a prime factor in choosing lace. 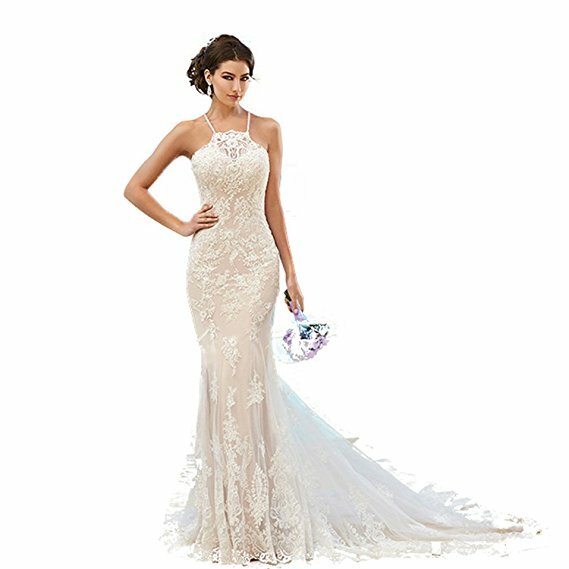 Of course some modern dresses use lace, this depends on the color and style of the lace as well as the placement, but overall this is a traditional choice. Lace also looks elegant. It can also be sophisticated. Lace is one of those materials that depending how it is used it can convey so many things. Lace can be used in a conservative manner or a provocative one. The style and use of the pattern has a lot to do with this. However as I mentioned there are some cons to using a lace wedding dress and you should be aware of these up front. The cons center around the fact that lace is very delicate. Because of its delicate nature you will need to be careful in how you store the dress. Another thing to keep in mind is that you will probably need to start the alterations process early and the alterations will take longer. They could also be more expensive. This means you will need to put aside more time and money to accommodate what you need to have this dress look perfect on you for your big day. So we have thought about the length and the material but what about the style of the dress. 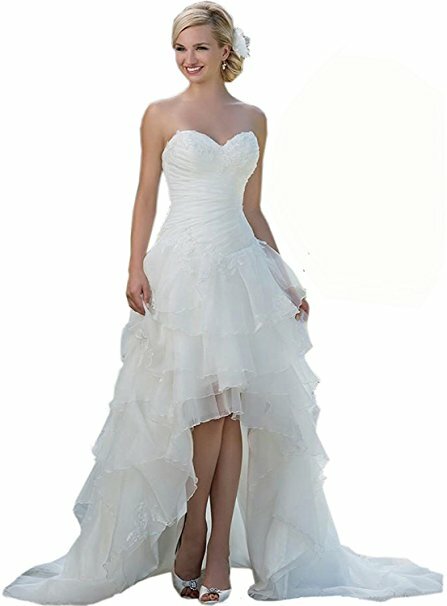 If you decide a shorter dress is not for you and you realize a ball gown would not work, what other options do you have? One of the best options would be a mermaid dress. A mermaid wedding dress is a modern take of wedding gowns. It is more form fitting and can look sophisticated and elegant, but again there will be some cons. If you are looking for a wedding dress that all body types can look great in, you might want to choose a simple A line wedding dress. A mermaid hugs your figure, displays your hourglass figure but can also make your breasts look smaller – so if you are looking for a boost there, this is not the style for you. However, it also looks romantic and iconic. 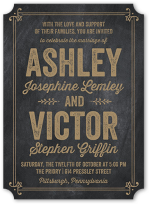 It is perfect for a beach or destination wedding. If you are looking for a dress to really wow your future spouse, this could be the style for you! Finally we have come to picking a neckline. As you will be in a warm climate you might want to choose to have a strapless dress. A strapless dress would like great in a tropical wedding, it would be more comfortable in the warmer setting and strapless dresses look great with your hair completely or partially up as most brides wear it, as well as will jewelry and other accessories. If you are uncomfortable with a strapless dress there are other alternatives you can try. You can get a wedding dress with short sleeves, spaghetti straps or even a one shoulder dress. As you can see there are many different ways you can pick a dresses for a tropical wedding. You can use one or more of the elements listed above or go a completely different way. You are the bride so the choice is yours. Just find something you will be comfortable in the whole day.